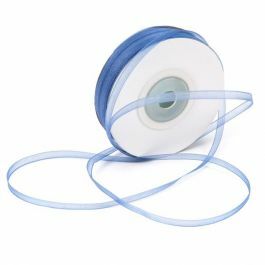 Make any presentation festive with this Organza Wine Mono Edge Ribbon. Pair this burgundy-colored ribbon with wine bottles, place settings, invitations, and gifts to add sparkle to your decorations. 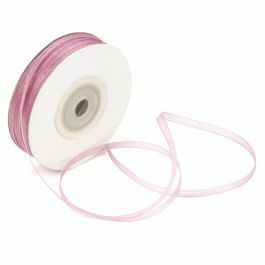 This 1/8" mono style ribbon features a shimmering sheer texture and a thin satin trim. Perfect for special occasions! 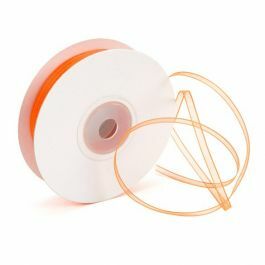 Organza ribbon creates the perfect ambiance for special events. The RIB8WNE is our Wine Mono Ribbon with a 1/8" width. Decorate wine bottles, place settings, gifts, and holiday favors. This burgundy color is a great match for dinner party decor. The mono-style ribbon is designed with a shimmering fabric and a fine satin trim. Made with 100% nylon woven sheer fabric. 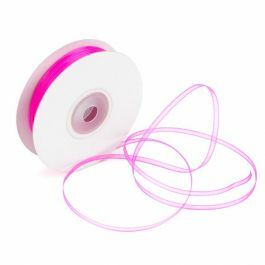 The primary use of RIB8WNE Organza ribbon is to decorate gifts or tie up favor bags.